Is this the mentalblog influence? 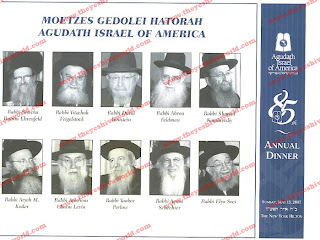 It seems to me that recently pictures have been published, and biographies printed by the "unofficial official" Chabad websites that we would not have seen years ago. Much of this can be attributed to the fact that outside authors, professors, and historians have been digging deep and publishing their finds. This in turn has made Chabad look like a bunch of coverup artists. The best response to accusations like this is usually to publish these finds yourself, and COL has been doing it lately with the help of Yosef Y Kaminetzky of Kfar Chabad, who found many photos and artifacts related to the Rebbe and his family. 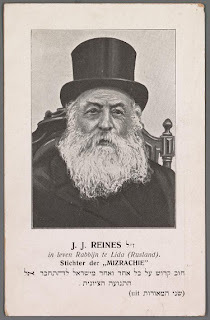 Above is the latest find, a heretofore unnamed person, who judging from recent other pictures they published, is probably the Rebbe's first cousin, Menachem Mendel Schneerson, son of his uncle Reb Shmuel. I didn't know Rabbi Avrohom Levitansky personally, although I saw him a few times in 770 years ago. I would hear stories about him being the ultimate Shliach, the one who never changed his way of life, and who stayed true to the Rebbe till his very last day. I don't doubt that for a second. What I don't understand is the "revenge" that some of his family and friends - that are so worried about the image that Lubavitch portrays in the world - are dishing out on his behalf onto Shlomo Cunin and family. Of course the who-- (sorry about that, I couldn't think of a better term) here is Tzemach Atlas, who although he knows zero about the man or about his history still finds it necessary to make his blog the harbinger of more hate against people in general and Lubavitch in particular. Yes, I know all about me and my Agudah-bashing, but those are fair game, and they don't attack anybody's family personally, or delve into their business practices, especially after a death like that. I would therefore make the following assumption: If you respect Reb Avremel, and you hold him in such high esteem, and you realize that it's still within the Shivah period, then realize that he'd want you to stop writing on his behalf. Especially since the ultimate victim here is not Shlomo Cunin, but the Meshaleach, and the preceding six generations of Rebbes. I know that many of you care very little about Lubavitch and the Rebbe, and it's all about your petty little Shtelles in California, so I don't address you, simply because you'll make it about Kotlarsky and Krinsky again. 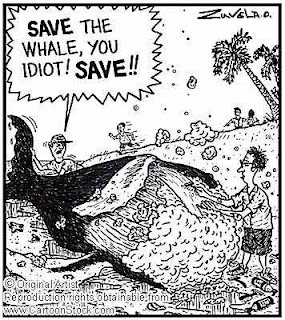 Somehow they always get the blame. But for those of you who're worried about guys with banged up hats waving yellow flags, and children with writing on their Yarmulkes, I speak to you. What you're doing here is no better, and is actually much worse, because there's no excuse for Chilul Hashem like that. While on the subject; Can somebody tell me if the Niftar ever learned in Telzer Yeshivah? Vacation over, back to work. I took some time off from blogging, (those short posts like voting and the name in lights not withstanding) although I didn't plan it in adavance, it just happened. Maybe it was all those personal attacks against me made by the well-meaning Bnei Torah here, telling me what a nasty boor I was. Maybe it was the Yom Tov of Shavuos and the true meaning of Kabbolas HaTorah that I experienced in Lubavitch, while others didn't. Or maybe it was just me rethinking my priorities, and realizing that those people are just not worth my precious time. I may have lots to share, but I need to find a more friendly and hospitable venue. In any case the necessary intellectual fortitude needed to compose hard-hitting threads and posts just wasn't there over the last week, so I took it easy. I'm sure some of you appreciated that too. Now I realize that in some ways I've become tied down ("addicted" is such a harsh word) to blogging and all its negatives and positives, and I can't walk away from it, at least not now. While on vacation the following episode taught me why I need to continue: A Yeshivisher friend of mine was on the phone speaking to a person about "Being Mekabel Shabbos early," "accepting Shabbos at 6:30 or so." After hanging up the phone he tells me proudly that he just got off the phone with a person "I made religious." "They were living BeIssur," he says, "and now they're married and have two kids." He went on to say how some guy at Aish asked him to get involved with Kiruv and how he was very hesitant at the outset, but started anyway. He learned with him and put on Tefillin with him. He was constantly asking Rabbonim about what he was allowed and forbidden to do. How the guy asked him to learn with his wife and he refused. In short, he was beaming from ear to ear, really proud of himself. "He puts on Tefillin every day! "For a while I too was impressed, not so much with his story, which was cute, but with myself for not reacting quickly, and letting him get his two minutes of fame. I did have one point to make at the very end. I reminded my friend about the Halochos of Tefillin, and the din of guf noki, asking him if he checked properly before putting on tefillin with him. He laughed. I reminded him about how Lubavitch was lambasted by the other frum groups for putting on Tefiilin with irreligious people, which is what he did. he thought for a split second and then said: "They put Tefillin on Goyim." I did not jump out of my seat, and I didn't tell him what a horse's behind he was, all I said was "You sound like a Goy talking about Jews." Of course he backed off and stood there with his foot in his mouth, but had I not mentioned it this frum, Yeshivisher guy would have kept that belief for years to come. Nice to see what all that tuition his father paid went to fund. Why did he make that statement? Does he really believe that Lubavitchers willingly do that? Maybe. Stories like that tell me that I can make somewhat of a difference in this PR war we fight. I may not have the circulation power of the Yated, but the word gets out, just like the negative side does in all kinds of publications, both online and in print. Should I reveal my true Identity? Never! that would miss the point. Yes! Most people know you already. "We must internalize the teachings of the Torah and make ourselves better people. Torah must touch our souls and impact our actions. If we stay up all night learning, but then come home and carp at our wife because she didn’t have breakfast ready for us before we go to sleep, then we have failed in our mission of forging ourselves into true Bnei Torah." There's more talk in the article about becoming good Bnei Torah with good Midos, not just ivory tower learning. I guess that means learning with others as well. That's a nice idea. There's the idea of accepting all GOOD Jews who follow Halochoh, even if they daven a different Nusach than you, and other feel good topics you'd hear at a Mussar Shmuess to BaaleiBatim. He even mentions Nusach Ari as one of the acceptable Nuschoy'es, so I guess Lubavitchers are about to be accepted back into the fold. I can dream, right? Where else would we hear these groundbreaking ideas if not from the Yated? Thank G-d. There also lots of talk about how great Yidden are (as compared to the other nations) and other ideas that are supposed to make Yiddishkeit appeal to us. Maybe it's me, but I think he misses the point here. What one takes from Shavuos according to this is that it's really nothing different than Rosh Hashonoh, except for the fact that there isn't the Tshuvah factor on Shavuos. On Shavuos it's the Torah factor. Otherwise it's just another time of reflecting on making ourselves better people, with the emphasis on Torah rather than Tshuvah. I realize that the Litvishe Hashkofoh is not just dependent on Pinny Lipschutz, and that there is a bit more to it, but it's still incredibly lacking, as if to say that there's no real reason why we celebrate Shavuos, other than to learn better. And to have a Artscroll Rus published too. I guess that works well for some people, they're content with just being Baalei Kabbolas Oyl. Others will be Kabbolas Oyl'nikkes, but have a thirst for knowledge too. For those of you who do care to know what happened during Kabbolas HaTorah at Har Sinai, and why the Am HaNivchar is really Nivchar, and what true Ahavas Yisroel is about, start learning Chassidus. Tanya, Likkutei Torah, Derech Mitzvosecho, the "old Chabad" if you will. It'll open your eyes, and teach you what you as a Jew are all about. It'll complement your Nigleh learning like never before, and take it to new heights. Never before will you think of yourself as the same, and never will you see Hashem with such simplistic notions. How do I know? me the nasty Am Ho'Oretz? well, some of my best friends have told me what it's like, and I can't wait to join in this monumental task one day. Until then I can only hope to be a Chabadsker. There's a lot more to say, and maybe if I had more time the post would look better, but I don't. Have a great Yom Tov. Radloh sent me this, asking me to post a poem he composed. I have an Ungarishe Kup, and I have no idea why I'm supposed to appreciate it. Can you help? but could not get back through. This is the second time in the past week that the Brooklyn Eagle newspaper published a story about frum people being busted for Medicaid/Section8 fraud. Last week was only half bad, with no mention of the busted couple's assets, only that that they collected federal assistance when they weren't entitled to it. But this week was terrible. They write of a couple who's 2003 annual income is in the mid-six figures, (working at a funeral chapel, that's what the bereaved pay for in their time of grief, frauds) and who has liquid assets (קע"ש בלע"ז) of well over a Million dollars. They still found it necessary to apply for Medicaid benefits, (I imagine free health care, including dental and vision, not a one-time emergency type of coverage) I guess to pay for the summer bungalow and new Yom Tov clothes. 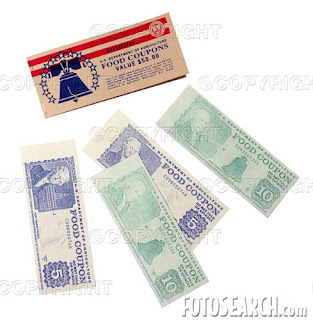 It's tough to live on a Hundred and Fifty Grand plus a million in cash these days! I guess the time has come. There are no more free lunches. It seems like either all federal computer systems have been linked to one another, or some reporter/journalist is out to get the Jews. Either way things have got to change. From now on if you apply for Medicaid etc. please make sure that you haven't told another federal agency like the IRS of FDIC that you have ten times as much annual income, and have a thousand times more assets in the bank. No longer will the lifestyles of the frum and Chassidish be the same, it's crunch time people. New clothes once a year, not twice, and maybe not even that. Bungalow colonies will need to fold like a deck of cards, and Italian shoe stores, and French baby clothes shops will need to go the way of the horse and buggy. Either the Brooklyn housing market will crash, or we'll all have to move to Scranton. Either way, change is coming, the question is how we'll adapt to it. Another Misnagdishe story that I have a hard time understanding. Maybe one of you can enlighten me here. It's stories like these that mark lines in the proverbial sand between Chassidim and Misnagdim, Chassidishe Mayses, whether embelished or not, seem to have a very clear moral and lesson, even if they're about the greatness of a Tzaddik. Misnagdishe Mayses sometimes seem to make no sense, and they seem to teach the opposite of good Midos and proper dealings between people. Case in point: The Jewish Press in Tovia Preschel's column this week, reviews Shlomo Lorincz's memoirs. We discussed the book and some its choice stories there in the past, and why the Yated choose to publish some of them before last year's Israeli Knesset elections, but we'll focus on another story of another personality. There was this one time where the Ponovizher Rosh Yeshiva (aka the Vaboylniker Tzaddik) came to learn with the Brisker Rov, Reb Velvel. While learning there he called his daughter, Rivkah, to prepare a cup 'o' tea for himself and his study partner. 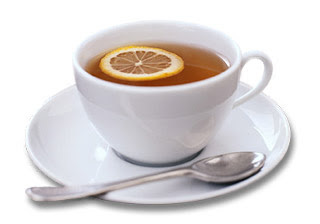 She entered the room and placed the tea on the table, adding a plate of sugar as well. After she left the room her father called her back and told her to add some sugar to the cups, which she did. She then left the room. He then called her back a second time and told her to stir the sugar for him and his Chavrusah. After all this the Rosh Yeshivah asked the Rov: Why did you harass your daughter like that; couldn't you just do it yourself, or at the very least, ask her all at once without making her come back all those times? The Rov answered (and I paraphrase) Ihr mezakeh zein mit a Mitzvah is a shlechthe zach? He did it all for her sake, to give her Mitzvos. I fail to understand stories like these, and they turn me off, even after I try and keep an open mind about adversaries of Lubavitch and the Rebbe. What is the point of publishing this and very such story? are we supposed to do the same with our children, is this the way that kids will appreciate their parents, by having them slave away for them like that? Help me out here. While we're at it let's try and understand the whole approach the BR took to educating his kids; the tough stance on everything, making Yiddishkeit seem like a long list of nos and of difficulties. That seemingly worked as far as his own family is concerned; there seem to be no failures in his offspring, VeAderaba, but I still don't get it. Might they have not turned out that way had they been raised with a dash of joy sprinkled in to their education? A little blurb on COL today caught my eye. There was apparently a regional Kinus Hashluchim in Seattle recently, where Shluchim from the North/South/Southwest/Northwest attended. They met to discuss all kinds of issues affecting them and their communities, both with fellow Shluchim and with some of the leadership of the Chabad Shluchim institutions. One of the featured speakers at the weekend get together was Rabbi Moshe Klitnick, Rov of the ביקור חולים מחזיקי הדת shul in Seattle. Things like that warm the cackles of my heart, they tell me that we CAN all get along together, especially if we work towards a common goal. I realize that stories like these don't "do it" for us like a story of a full-blown war in Seattle would, but sometimes we do need to hear good news as well. He handed me a glass filled to the brim with vodka. 'Rebbe,' I said, 'in Vishnitz a chasid does not drink alone.' 'Nor in Lubavitch,' the Rebbe replied. He emptied his glass in one gulp. I followed suit. 'Is one enough in Vishnitz?' the Rebbe asked. 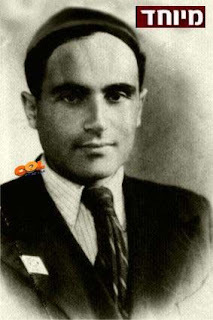 'In Vishnitz,' I said bravely, 'one is but a drop in the sea.' 'In Lubavitch as well.' He handed me a second glass and refilled his own. He said lechaim, I replied lechaim, and we emptied our glasses. After all, I had to uphold the honor of Vishnitz. But as I was unaccustomed to drink, I felt my head begin to spin. I was not sure where or who I was, nor why I had come to this place, why I had been drawn into this strange scene. My brain was on fire. 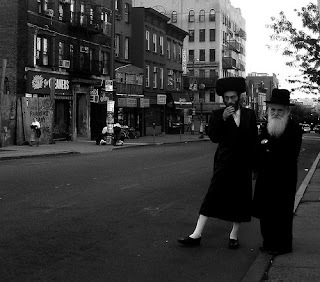 'In Lubavitch we do not stop midway,' the Rebbe said. 'We continue. And in Vishnitz?' 'In Vishnitz, too,' I said, 'we go all the way.' The Rebbe struck a solemn pose. He handed me a third glass and refilled his own. My hand trembled; his did not. 'You deserve a brocha,' he said, his face beaming with happiness. 'Name it.' I wasn't sure what to say. I was, in fact, in a stupor. 'Would you like me to bless you so you can begin again?' Drunk as I was, I appreciated his wisdom.... 'Yes, Rebbe,' I said. 'Give me your brocha.' He blessed me and downed his vodka. I swallowed mine--and passed out." Listen to the Rebbe's words forty years ago. See why the love shown to the Rebbe is כמים הפנים אל פנים. See why it never ends. Then talk to me. This is not about Kochi VeOtzem Yodi, nor is it about "I told you so." It's about showing how a true leader cares for his people. 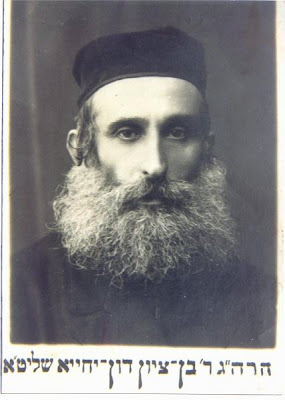 Rav Isser Zalmen Meltzer worked with Rav Shlomo Yosef Zevin on Kovetz Yagdil Teyreh, a Torah Journal, while both were still in Russia in the Nineteen Teens. Many Rabbonim and Roshei Yeshiva contributed to it, but they were the backbone of the publication, Rav Zevin probably more so. RIZM was Rov in Slutsk, and RSYZ was Rov in Novozibkeveh. Rav Zevin was a Talmid of the Boibruisker Rebbe, Reb Shmaryohu Noach (Shmerel) Schneersohn, grandson of the Tzemach Tzedek, and a staunch supporter of Mizrachi. Many would ask Reb IZM why he had such a close relationship with RSYZ when the latter was a Mizrachist,a Tzionist, and a Chabadsker to boot. RIZM realized that and was said to tell RSYZ: "Du bist Chometz, a Chabadsker, a Mizrachist, un a Tzionist, Ober ich hub dir lieb sy-vi." Such was the case with many others who may have had disagreements with Rabbonim as to how to treat secular Zionists and whether or not to support Zionism. But if the Rov was a Talmid Chochom and a Yerei Shomayim his political views were not that important after all. 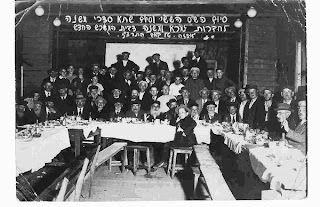 Another of that class of Rabbonim was the Don-Yichya family of Rabbonim; Reb Lazer and Reb Benzion; Rabbonim in the Latvian town of Ludza - לוצין for many years, and until the community was destroyed by the Nazis YeMaSH. 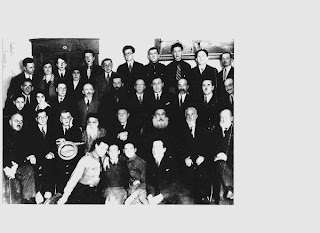 They were staunch Chabad (Kopuster/Lubavitcher) Chassidim, but very proud of their connections to Zionism and Mizrachi. It seems like in those days you could be a Chossid of your Rebbe, but you didn't necessarily need to adopt all of the Rebbe's political opinions. I also believe that the people in the town were not Chassidim, so here's a case where the Misnagdim took a Chassidishe Rov. This, and countless other such cases shows me and any objective reader that a change took place recently that was not - or rather would not have been - sanctioned by the Jews of pre-WWII Lithuania and Misnagdic Russia/Latvia. They looked at a Rov as we all should, as a teacher of Torah and a man who should be there for his people in times of need. Today we need for him to belong to our party, to think the way we do, otherwise what's he worth. 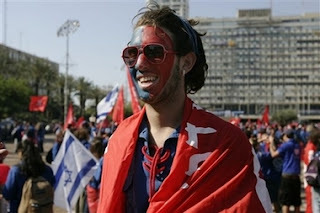 We need for him to pledge allegiance to this Godol HaDor and that Posek HaDor. I point the finger at myself as well; sometimes I find it difficult to consult with a Rov who's not of Chassidic stock, but truth be told I do it, and it's easier for me now too. I wouldn't ask him everything in life, but mostly everything, at least where we agree in life. That was also always the case in Lubavitch, where the Rov in town was Red Dovid Yakobson, Nit kein Chossid, and many Roshei Yeshivas were not Chassidim as well. "Gedolim were recently added to both the Moetzes Gedolei Hatorah and Torah Umesorah’s Gedolim Board. At last night's Agudath Yisroel 85th annual dinner it was made public for the first time that there were two new Gedolim added to the Moetzes Gedolei Hatorah. The two Gedolim are Rav Dovid Feinstein Shlita (no position? - HT) & Rav Malkiel Kotler Shlita (Rosh Yeshivas Lakewood). 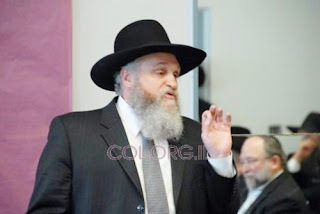 And at the recent Torah Umesorah Convention it was announced that Rav Avohom Chaim Levin Shlita (Rosh Yeshivas Telshe Chicago) was appointed Yoshev Rosh of the Torah Umesorah Gedolim's Board." It's lines that these that keep guys like me coming back for more. No other culture can produce such pearls of wisdom. I met a young man of Sefardic extraction from Gibraltar at the Lag BaOmer Parade in Crown Heights, who now lives in New York. He was Niskarev to Lubavitch while learning in Yeshivas Kol Torah in Yerushalayim and came to learn in Lubavitch in "770" later on. The Rebbe personally guided him, and gave him a path of learning to proceed on. He got Semichah (the real kind) from the Roshei Yeshivah of Tomchei Tmimim in 770, as well as from Rav Pinchus Hirshprung zt"l. He later proceeded to receive Heter Horo'oh as well, and had a good future in Rabbonus ahead of him, it seemed. 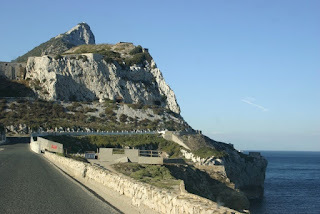 One of the things he was working on becoming the Rov of the community of Gibraltar. Being a local kid helped, and the signs were all pointing towards him getting the job. Somehow word reached Bene Beraq (I guess with many of the local kids going on to learn in Eretz Yisroel,) that they were looking at him for Rov, and it reached the desk of the Vaboylniker Tzaddik, then serving as Rosh Yeshivah of Ponovezh. Needless to say he was not happy about it, and he succeeded in taking his name off the short list of candidates. The Yungerman was told that he was no longer a candidate. All in the name of Emes and Sholom, I suppose, since he never met the young man, and all he knew was that he was a Chabadsker, but that didn't stop him from passing judgement on him. The true signs of a leader of Klal Yisroel. It got so bad that even his relatives, who identified with the Rosh Yeshivah, were embarrassed to look him in the eyes because of the shame they felt at their cousin being rejected for no good reason other than political ones. Freg Ich eich, Tayere Yidden, Iz Dos Yosher? Is it OK to destroy the life's work of a Yid, a Ben Torah in anybody's book, just because you may not agree with his Rebbe? What ever happened to taking a Rov for his knowledge of Halochoh and Yiras Shomayim, and not his political affiliation? Is there not a long history of Chassidishe Shtetlach where the only Misnaged was the Rov, and they lived happily ever after? Why must we be frimmer than our ancestors who were known to be petty and fight about every little Kibud, Aliyah, order of Aliyos and so on? If they could overlook a supposed problem like that why couldn't someone who knew that generation quite well, and who knew of many such precedents, allow for a young man who happens to be a Lubavitcher Chossid to be the Rov of a small community untouched by Machlokes? Is this is an anomally like some would put it? Maybe, and maybe not, I don't know much about campus Jewish politics. But it looks good, and it puts a sock in the mouths of those who claim otherwise. 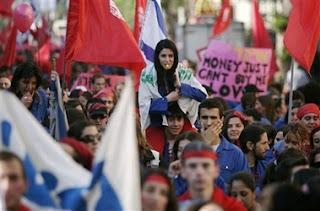 And if it is an anomally then let this be the beginning of a beautiful friendship, with Chabad in the lead, of course. Sorry about the cliche'-like title to this post. Mendel the Sheichet strikes back! Ok, here it is from the mouth of the "ferd" himself. It's interesting how some of you (especially the illustrious Rav Hirshel) are so quick to pass judgement on people they have never met. Hirshel, you have no idea what we're about, what HM is about and - if I'd have to go by what seems to be your bitter hatred of your fellow Jews - you likely haven't a clue what Chassidus is about. Ironic then that you find yourself so qualified to perform such a thorough analysis of all these 3 subjects, no? But at the end of the day what you say about me and the other Teiheads in either direction is fine and we likely owe you one for the free PR. What does bother me though, hirshel, is that you are so quick to condemn an entire international frum community assuming that they are "at fault" for the actions we take and highly recommend us for frum kids to listen to. The truth of the matter is that we don't even recommend OURSELVES to frum kids (unless they are kids who have already been turned off by people like you, Hirshel, and are starting to get involved in the Goyishe HM scene and need to be redirected to Nichoyach). As far as the Chabad Kehilla, they tolerate us just like they do the Meshugener who sits in the corner talking to himself and laughing at imaginary things on the ceiling, i.e. unlike you they are not willing to discount us as Yidden just because we have flaws. To Chabad, the choices in my particular scenario are likely something like: is it better to have a guy who keeps Shabbos, Kashrus, Taharas Hamishpacha, etc. but has a flaw of being involved with the HM world or is it better to push him away and announce him "Oys Yid". Luckily, Chabad goes with the former approach while you would seem to favor the latter. I bless you Hirshel that the Eibershter not judge you as you judge others. 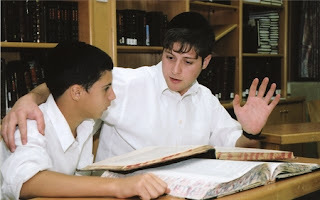 Levi Weiss never really fit into the yeshiva world. The lanky 18-year-old, who grew up in the Lubavitch community in Crown Heights, Brooklyn, was a hyperactive child, and he was eventually diagnosed with attention deficit disorder. He bounced around from yeshiva to yeshiva — six in all in Brooklyn, Pennsylvania and as far away as Montreal. But no direction was home. “Getting kicked out and not having rabbis take care of me, it sort of pushed me off a little bit. It was a turnoff,” said Weiss, who is dressed in jeans and a T-shirt, a far cry from the typical Lubavitch dress code. ALIYA: a relaxed atmosphere with a Chassidic twist. READ MORE. DELETED DUE TO INAPPROPRIATE CONTENT. From the smoke blackened depths of Pittsburgh comes the sight of Heavy Metal thunder and the sound of Mind Bending lightning... Teihu combines all forms of Metal into a screeching cacaphony of bliss that will sear your very soul! Mendel the Sheichet lists "The Alter Rebbe" as his alter ego. Can I pat myself on the back right around now? I seem to remember Lamenting phenomenons such as these a while back. I hate it when I'm proven right on points like these. Unless we can spin it this way; That Yiddishkeit, Torah, and Mitzvos are so appealing to non-Frum people that even stoned heavy metalers see the beauty of it! Or, that HM "music" is so pure and spiritual that even Chassidic Jews can see the beauty in it! Don't get me wrong here; when I see guys making blanket statements like "It's the BTs' fault," I cringe with disgust. Lubavitch would be much better off if we all had the sincerity of Baalei Tshuveh. It's the so-called Mashpiyim that take advantage of that sincerity and Temimus that we have to blame. 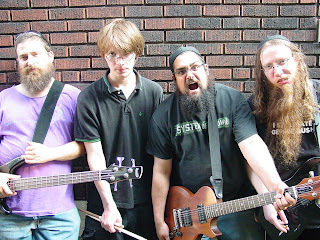 Seems like these guys won some kind of "battle of the bands" in the Steel City too. Very nice. A big Kiddush Hashem, and an even bigger Kiddush Shem Lubavitch. I was speaking to the Baal HaMa'aseh of Circus Tent:"WWRYT?" this Friday Night after Davenen, and the discussion, as usual, turned to the weekly happenings at Circus Tent. This is where, rather than the actual writing and moderating, the blog begins to consume so much of your time. You see my friends, he has no internet connection neither at home or at work, and had just been shown what I had written about his story. At first, allow me, he complimented my presentation of the story, and my responses to the incipid comments I got from some of you about him having issues with his mother, and not remembering the story since it happened a quarter of a century ago. He too, echoed my thoughts, that an event like that is never forgottten, no matter how many years have passed, but he did have this Limud Z'chus to say about Reb Yaakov Kamenecki, something that was echoed by our friend Schneur about his uncle in Kurenitz, Belarus, and his shprach with Misnagdim, even Rabbonim. "It's all about the figures of speech prevalent in each society," he says, it's not to be taken literally. In Lubavitch, if you ask a Mashpiah what you should do about your son who wants to go learn in a Misnagdishe Yeshiva he would respond with Russian curse words, telling you what kind of people he thinks they are there. In Di Lita they used words like Apikeyres, and Shmad, and they're not Jewish, but they didn't mean that literally, at least in case of the latter. 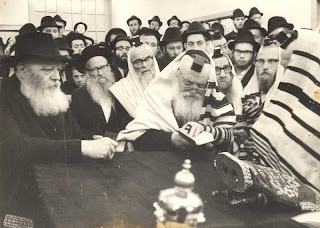 Even the great "Kano'yi" Reb Chaim Brisker attended the Levaya of his sworn adversary, the Lida Rov, when according to him his sins were much greater than the biggest "Tayneh" on Lubavitch. This - accrediting semantics and nothing else - to me seems a bit naive, and maybe very idealistic of our Ba'al HaMayseh, taking for granted that all Jews love each other, and that no one group would try and ostracize the other by calling them Apikorsim and the like. This man is by no means naive, which shows me that his main idea is to be Melamed Zechus. But something happened these last 20-something years, something very terrible and divisive. These "semantics" seemed to take on a life of their own, and they seem to have changed from non-threatening figures of speech to words that change our whole outlook on life and Yiddishkeit. Where it used to be that you were judged by your actions, and by the way you conducted yourself, at least for the last one hundred years previous, these days the thought police judge you by the way you think. They decide that they're the holders to the deed of Torah and get to decide who stays and who goes. This is a phenomenon never before seen amongst the Jewish People, not even in the times of the birth of Chassidus, and not when fighting with the Reformists. In those days you actually needed to show a disrespect towards Torah and Mitzvos, to receive the cold shoulder and be banished. Today the "guardians" have little tolerance it seems, for anything they don't like or choose not to understand. Chaval. 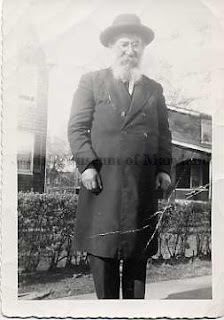 Rav Menachem Mendel Taragin, son of Asher Yehoshua Taragin and Yehudis Abelsom, was born in Sep 1873 in Praile, Latvia and died in Jun 1973 in Baltimore, MD USA at age 99. Another name for Menachem was Rav Menachem Mendel Ben Asher. Taragin is situated in the north eastern part of Lithuania on the shore of Lake Tauragnas, about 15 km south east of the district center Utian (Utena). Historical sources dating from the end of the 16th century mention Taragin as a village and an estate bearing the same name. The estate later belonged to a noble family named Poslovsky. In 1792 regular market days took place there, and several taverns and a workshop for producing alcohol were established. A Litvisher Yid, I guess, no mention of belonging to Chassidim. Just another of those forgotten Yiddelach who hung tough in America despite the hardships. He seemed to raise a somewhat Jewish family. I have the newspaper here at the office but cannot scan it now. If any of you actuaaly pay the big bucks for a WSJ online subscription, and can forward me the rest of this article, I'd greatly appreciate it. It hurts to say this; but we in Yiddishkeit have become all about groups, and we look out for our own. Just barely at that. Every time I see an article about frum dropouts I cringe when I read about the Lubavitcher kids in the group, and pray that there are none. I understand it's selfish of me, but never did I say I was without faults. Judaism isn't judged as a whole anymore, but as small to large groups accomplishing for themselves, and producing according to their guidelines. We could care less about the Jewish community as a whole, and we aren't affected by stories that happen in other communities. Sad but true. 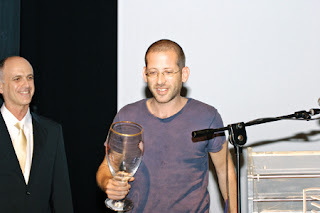 This came to mind when I read in HydePark and on mentalblog.com about this Chozer BiShe'elah - Dovid Valach - who won the Sundance Film Festival award for best something or other film. Valach comes from a prestigious Yerushalmi family - one of anywhere from 17 to 22 kids - who freid out at 25 and became a filmmaker. He was supposedly a Metzuyon at Ponovezh (probably not) who realized that this was not the life for him. So he went on to making films about frum Jews, and that always works in Israel. The novelty here is that so warmly accepted by the non-Jewish community as well. It tells the story of a father and son who doon't get along very well, since the father's approach to raising him is seen as excessive by the son. The situation only gets worse when the family travels to the dead sea for summer vacation, and tragedy befalls them when their son, the same son drowns. They then need to deal with their faith and the questions that now have, as well as with their grief. It seems like everywhere I turn now I see stories about wonderful Kiruv work being done by "Kiruv professionals" (what in the world?) somewhere in the world. This week's English HaModia was full of it, from Kiruv at Rutgers by some guy, to Lag BaOmer barbeques by Russian Kolelim, to a "Kinus HaShluchim" (for lack of a better term) of Kiruv Kolelim, to a whole insert singing the praises of Acheinu, an unheard of organization that already put thousands of kids in Yeshivos! (how do they manage that before starting?!) I know that G-d has a sense of humor, but this is way beyond funny. Here I am trying to be part of 'Klal Yisroel" by reading the "Torah" newspapers of our time, and all it does is have the opposite effect, it makes me hate myself for so missing the boat on this. After all, not only is the Torah firmly entrenched in Lakewood and Bene Beraq, but even Kiruv, real Kiruv blessed by the Gedolim, is also done by them, and with unbeleievable results. How could I miss the signs?! According to the brochure distributed by Acheinu in this week's HaModia, Thousands of invisible children are now learning in invisible Yeshivos with great humility and without the PR and propaganda machines that run Lubavitch. They don't eat and don't shop in stores. They never attend shuls for fear of attracting attention to themselves and the Kiruv professionals that brought them back to Torah, and they never marry and start families for the same reason. They're to be commended. 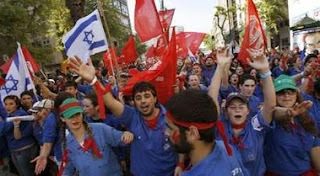 And all this was done by a rich guy in Toronto who decided that this is what should be happening now; Kiruv. He started with Dirshu and went on to Acheinu, and all the Gedolim snapped to attention upon seeing a guy with some money from Toronto. Truly "rebbe mechabed ashirim." Who knows what he'll do next? maybe it'll be some kind of Shidduch initiative with instant results! The only other similar phenomenons that I've seen in my lifetime are the Nechomas Yisroel Organization, which according to their most recent ad campaign, has placed TWELVE THOUSAND CHILDREN in Yeshivos, and the incomparable Oorah Kiruv Rechokim. Nechomas Yisroel's claim is all about kids who would've otherwise gone to Public Schools. Talk about "Pulling a fast one," This goes beyond fast. If there were 120 kids placed in yeshivos by them it would be saying a lot. And the propaganda that went on these years, with the "75 dollars saves a Neshoma," as if any Yeshivah would take a Bukhari/Russian kid into their school for seventy five bucks, makes Boro Park and Flatbush Jews look as gullible as ever. But that's all it takes these days to get yourself on the map; campaign as if you've been in business for thirty years, and you needn't show any actual results, just pictures of young men with their arms around the shoulders of dark-looking kids. Oorah appealed to the more sensible side of us Jews; they promised us vacations and silver Menorahs, computers, and 800 dollar baby strollers and we were never the wiser. They must be doing something good if they can offer such prizes for a five dollar raffle ticket, no? We never asked the tough questions; like what do you ACTUALLY do that I should spend my Maaser money with your organization? Or where are all these children that you supposedly placed in Yeshivos? Or where are the families that all became frum from that supposed seminar you offered a few years back? Those silly Lubavitchers, with all of their picture-taking and websites have nothing on these Acheinu/Oorah/Nechomas Yisroel guys. Even Aish and Or Someach seem to be dwarfed in comparison to the Acheinu powerhouse with its "Beis Chizuk" network. The trifecta here has taught us a new lesson in the art of advertising and marketing your product, an approach that has yet to be picked up upon even in this nation's higer institutions of learning. Have you wondered why Gas Prices are up like a dollar since the beginning of the year when oil prices have been pretty steady all this time? Why every day there seems to be a rise of 5+ cents to a gallon of gas? Well, my friends, it seems like it's more regulations for cleaner gasoline that's the culprit, so that stupid rich people, and other Liberals out of touch with the real world who think the world's coming to an end in 2012 will feel good about themselves knowing they didn't contribute to it. That's why we don't Chuck Schumer out there every weekend like he'd been for a while when prices weren't half as bad. Then he could blame Pres. Bush because of his connection to "Big Oil," and get away with it, because the American People are too stupid to realize that oil is a commodity that has its price determined on the open market. I guess now that it's regulation that he passed it's tough to blame others for it, even reality-TV obsessed masses like in America. So Chuckie's very quiet these days, he's on to the next item on his agenda. So the next time they tell you that they care about the "Little Guy" show him what you pay for gas these days, and how much that eats out of your very limited budget. Show him how your utility, food, and every other conceivable bill has skyrocketed due to new regulations that do zero to help a supposed problem we have. Show him how regulations aimed at not disrupting natural habitats have disrupted human lives to no end, but don't expect results. Not if his campaign millions are coming from Millionaires and Billionaires who for some reason support this kind of regulation. Even Reuters has no other answer for it. Reb Chaim Tashkenter at Krias HaTeyreh in 770 in the Lameds. A commenter mentioned Chaim Tashkenter as living in Williamsburg in his final years. Technically yes, but in the Ayshel Avrohom nursing home, where such other greats from Lubavitch as Reb Abba Pliskin and the late Chaim Lieberman also spent their final years. (Reb Chaim Hurvitz (Tashkenter) would say that he was always happy and smiling since he was born on Purim.) As a matter of fact; the Satmarer made a whole shtink of the fact that CL was there, as if he was thrown out of Crown Heights to rot in Williamsburg. The fact that he was 95+ and had no family is, I guess, no importance here? 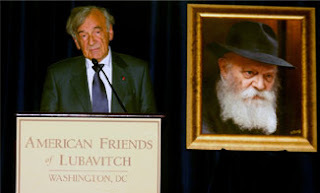 They went to Ayshel and interviewed him while he was lying in bed looking all disheveled, printed big pictures of him, and had him say all kinds of nasty things about the Rebbe and Lubavitch. I would venture to say that those nasty articles, printed in a "newspaper" dedicated to badmouthing Lubavitch, in my formative years, were quite helpful in my shunning the zealots who were around me at the time. I guess that counters the Bikur Cholims and other Chesed organizations that they run. I needed to be in Williamsburg yesterday, don't ask me why, but I did. I felt like a tourist visiting Meah She'orim - out of place. I saw the good, the bad, and the ugly. I walked from one end of the Shechunah to the other and saw all the hustle-bustle that goes on there. The hurried walks and the talks on the street corners. I saw the distrust that they have for anybody that's not EXACTLY like them, although very little separates me from them. I come from their country (well, at least my parents do) and speak their language (dialect) very, very well. I waited with the hitchhikers by the BQE and ended up taking the bus anyway, simply because I'm too aydel to fight over seats in a stranger's car, and that may be necessary when vying for seat in in the car of a stranger nice enough to give you a ride. That's my nature; I'd rather go hungry than push in line to get food, and have been that way for my entire life. It must the Ungarishe Neshomoh. Upon entering the bus I heard the now-familiar sound of Hebrew being spoken between a passenger and the driver. It felt weird, almost illegal, almost like something terribly wrong was happening and I was witness to this crime. Hebrew on a bus full of Satmarer Chassidim, isn't that sacrelige, the ultimate of insults? I have mixed feelings about Hebrew in general; I don't like when others speak it, especially at the expense of Yiddish, yet feel quite good about myself when I can carry on a conversation in Hebrew. I feel like it robbed generations of good, frum Jews of part of their heritage. In Bais Yaakov in Israel they were all Hebrew way back in the pre-state '40's, and nice Yerushalmi women have problems speaking their beautiful brand of Yiddish since then. Later on it robbed boys of Yeshivos and Chadorim simply because Yiddish became a hassle to teach in when all the kids were speaking Hebrew at home since their mothers spoke little Yiddish and spoke only Hebrew amongst friends. Later, the influx of Jews from the Middle East made Yiddish almost impossible in places like Lubavitcher Mosdos where they were welcomed with open arms. People ask me why I don't report on the trip by Harav Steinman and the Gerrer Rebbe to France, Belgium, and the UK. That it's a historic trip made by the two Gedolei HaDor, and that I take myself out of Klal Yisroel by not reporting on it. (I love how every guy browsing the 'net decides who gets to stay in KY and who not...) These questions are somehwhat reassuring to me; since I can tell that we have new readers that never got the memo about who we areand what we write about. Then again the same question could be asked why I didn't report on the "Historic" meeting of the 2 holy brothers Teitelbaum at a Shiva call last week, isn't that historic; that two brothers wearing silk coats in the summer and carrying silver-tipped canes would sit side by side and nary a word exchanged between them, not even a handshake or a nod of the head? I'd call that historic. I could also report on MVAs in BP and Willy, and post pictures of Sreifas Chometz in Lakewood and Avos U'Bonim in Baltimore and Cleveland, and change my name to YeshivaWorld and Voos Iz Naies, but that would defeat the purpose of this blog, wouldn't it? But if that's what my readers want then I have to decide between staying the course as I am, or changing the nature of this blog and begin to report on "Jewish News." Speaking of the Historic visit; can anybody tell me what the purpose of the visit is, and who arranges these trips? Why Rav Steinman, all 93 years of his, has to be shlepped around the world and have his schedule of learning and davenen interrupted like that? And for what? To have him say a few words here and there, and to have the zealots get all excited that they get to demonsrate against him (R' Steinman) for endorsing the Nachal haCharedi? If he'd be a Rebbe of Chassidim iz ein zach, but to do this to a Rosh Yeshivah? Why? When has this blurring of the lines happened, and who's responsible for this? They say it's not for money this time, but just to give Chizuk. Maybe. But who decided now that it's time we give Chizuk to the European Jews? There's something beneath the surface here that we don't see, I'm just not sure what. 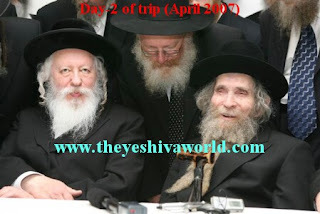 Other historic trips taking place now include R' Malkiel Kotler visiting Los Angeles, The Belzer Rebbe visiting Belz, Ukraine The Tolner Rebbe visiting Tolna, Ukraine, R' Aron Teitelbaum of Satmar visiting London, and many, many more. The frequent flyer miles being accrued for these trips is staggering, as are the costs of travel and lodging. But it all ends up being worth it when the checks are cashed, at least in the case of the Satmar and Lakewood trips. You did ask me to write about these issues, right? 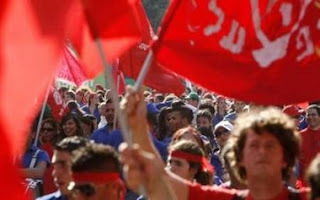 Fighting for the rights of the working man, Jew or Arab, battling injustice wherever it may be. In the spirit of Marx and Lenin, Trotsky and Stalin, they fight the good fight, no matter how unpopular it may be. Carry on Comrades/Khaverim, We're all with you!